Keema is a delicious way to spice up ground lamb or beef. It’s a great way to add some big Indian taste to run of the mill ground meat. 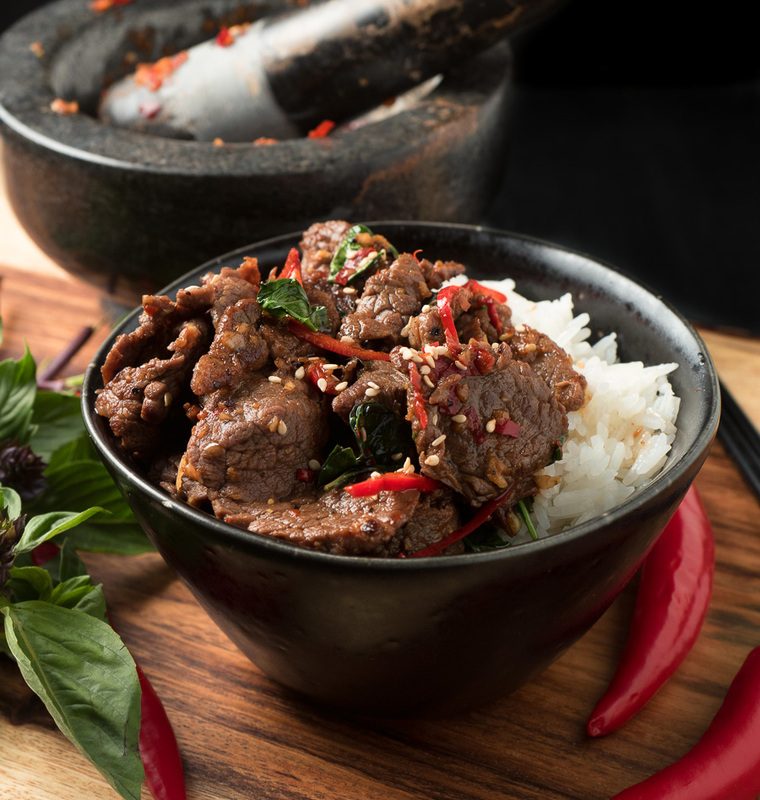 Thai basil beef – pad gra prow – is one of the really great stir fried dishes from Southeast Asia. Garlic. Chili. Thai basil. Beef. A bit salty. The slightest hint of sweet. In wonderful balance. And it comes together in no time flat. 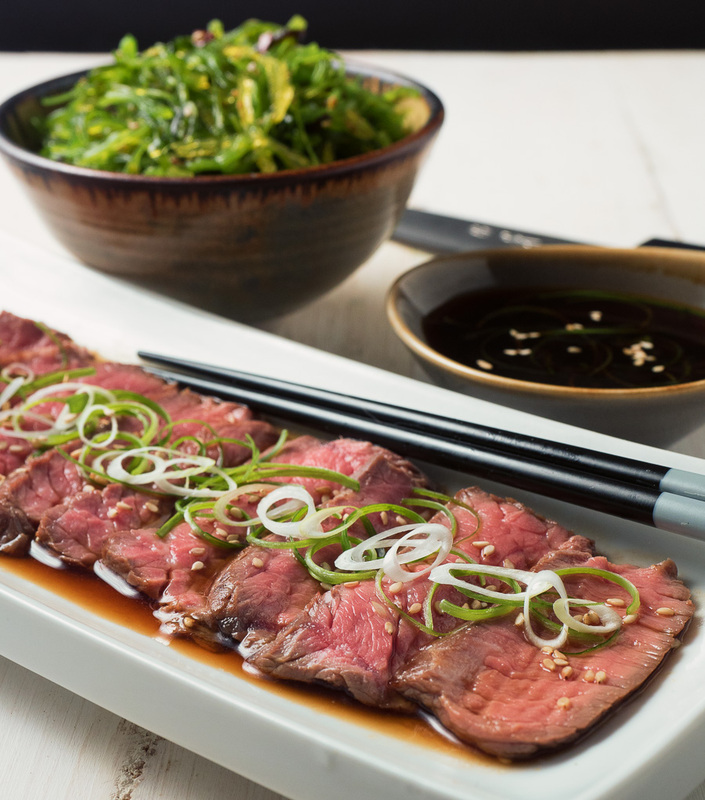 Beef tataki with simple ponzu sauce is a great Japanese dish to share with friends. If you like Japanese, you are going to love this. 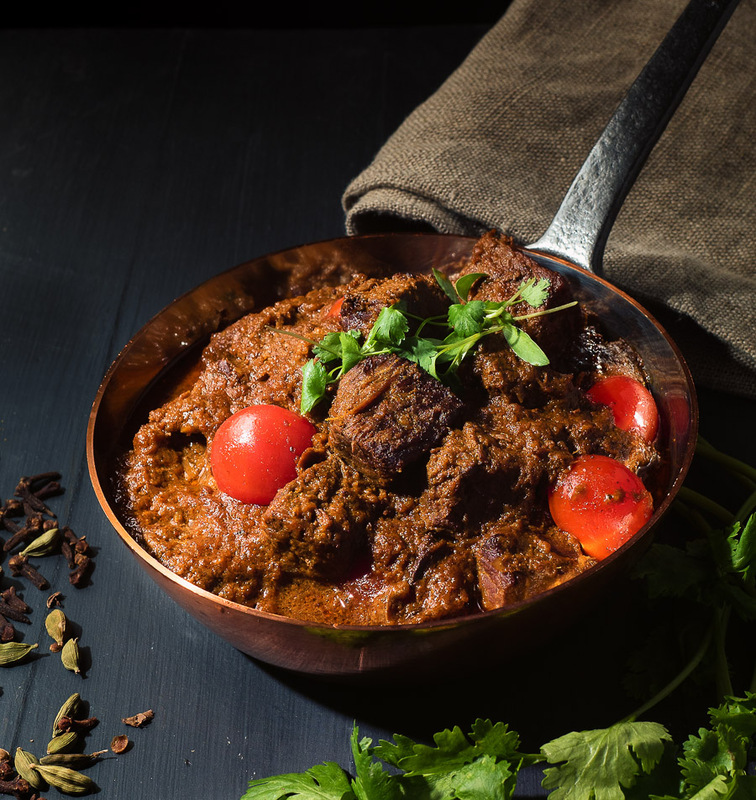 Beef rogan josh is one of the first Indian curries I ever learned to cook. I got it from Madhur Jaffrey’s first book and I thought I was the cat’s meow. 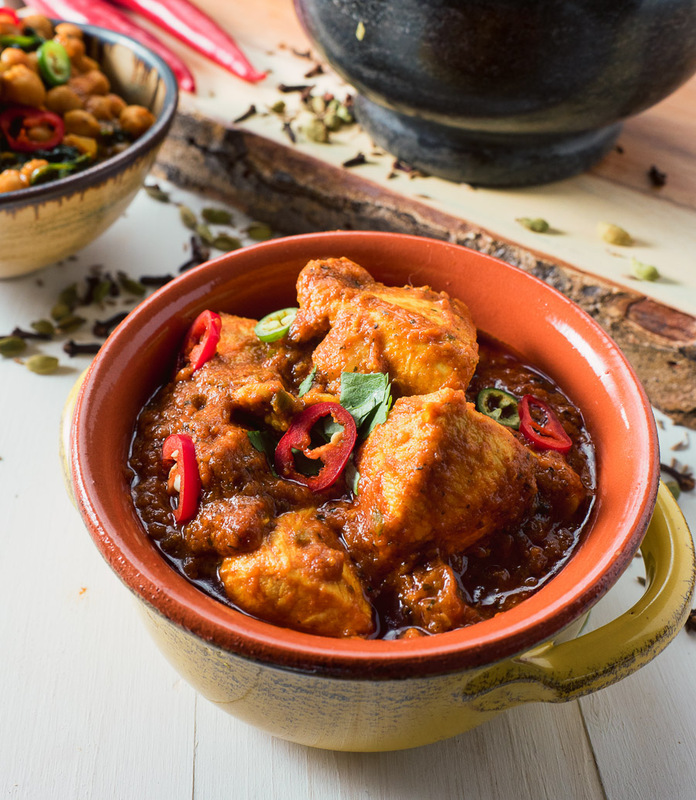 Indian restaurant vindaloo curry doesn’t have to be blow your head off spicy. It can be. Maybe it should be. But it doesn’t have to be. It can be a flavourful, hot, sour and tomato flavour bomb that lets you taste your dinner. Or it can be palate searing napalm. It’s your call and this recipe lets you do what you want. Bun bo xao is a quick weeknight meal. 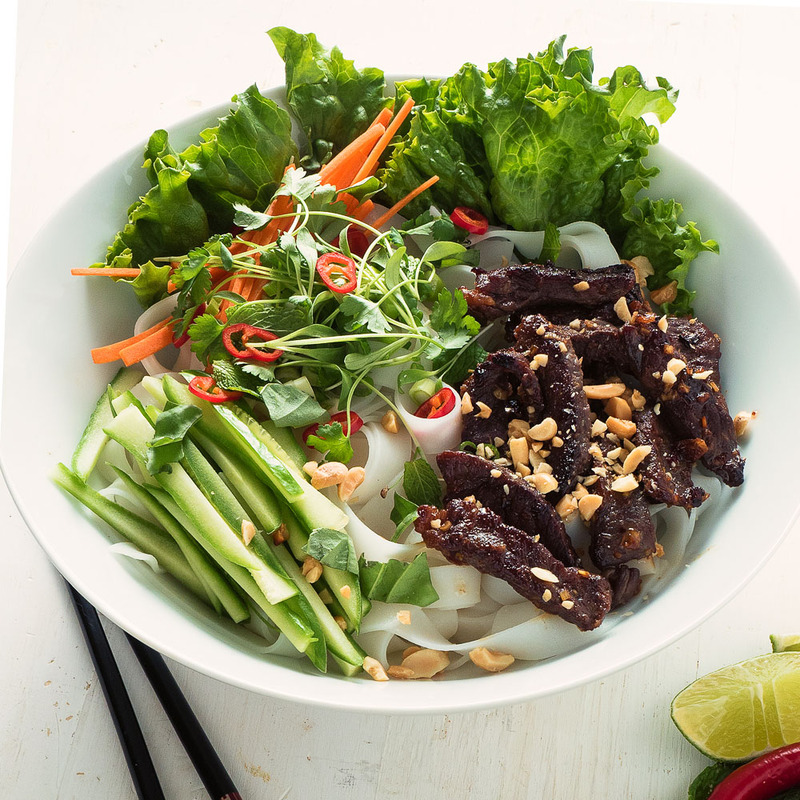 Big tastes of lemongrass, beef, chili and fresh herbs hit all the right flavour notes. It’s the best kind of salad. Everything in balance.